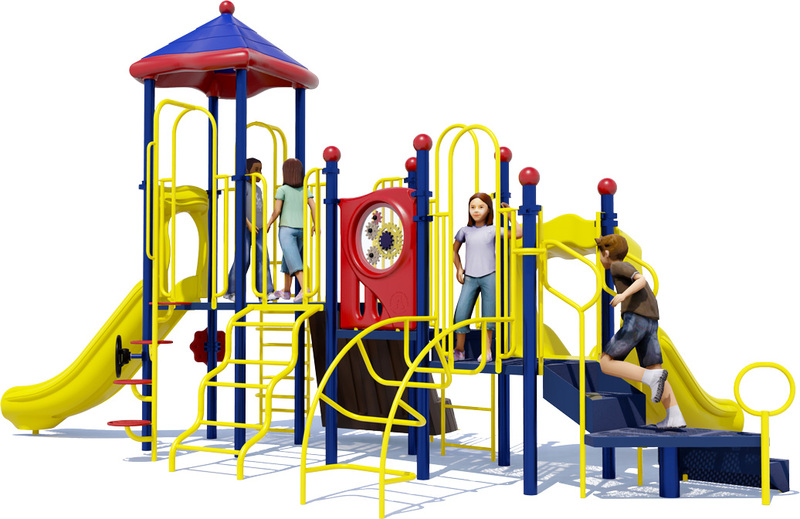 Dont take our word for it, but take a look at all the amazing activities in this commercial playground structure. 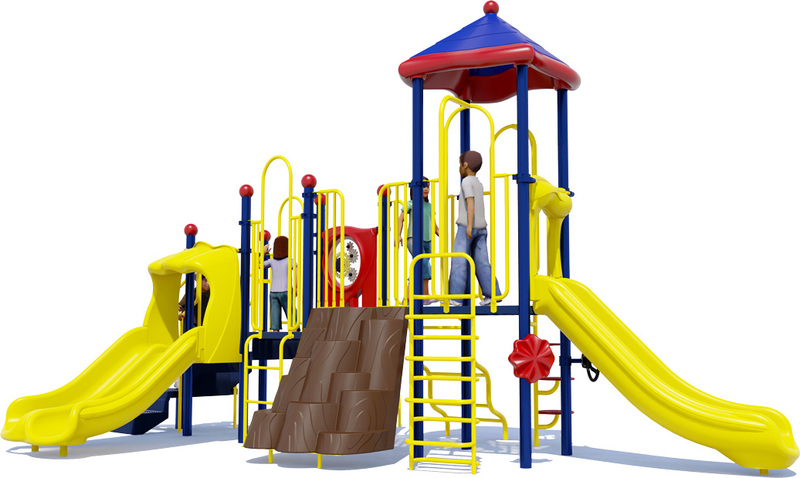 Tons of Fun is an inclusive ADA accessible playground that features a number of physically and cognitively challenging activities for up to 40 children aged 2-12 years. 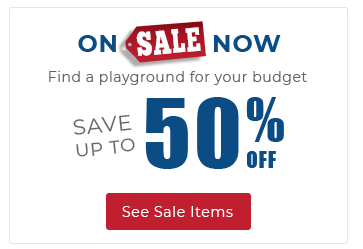 What do kids love most about this playground? The texture and unusual structure of the Tree Stump Climber engages their imagination and love of challenge. 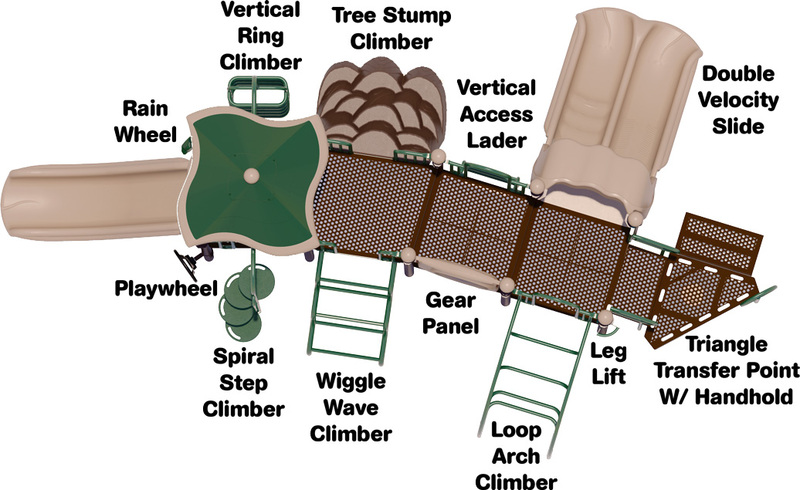 The Spiral Step Climber similarly offers a unique climbing experience, and both options test hand and eye dexterity while offering a fun way to clamor to the top. The Double Velocity Slide allows children to safely race their friends or family down, or the exhilaration of the Single Speedway Slide. A fast Single Speedway Slide. An imaginatively designed Tree Stump Climber. A Rain Wheel and Play Wheel (at ground level). An educational Gear Panel to learn about physics. 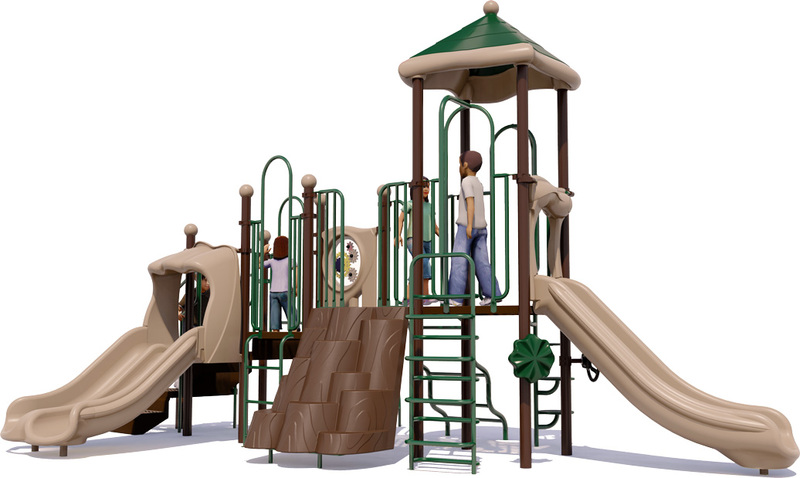 Vertical Ring and Wiggle Wave climbers. 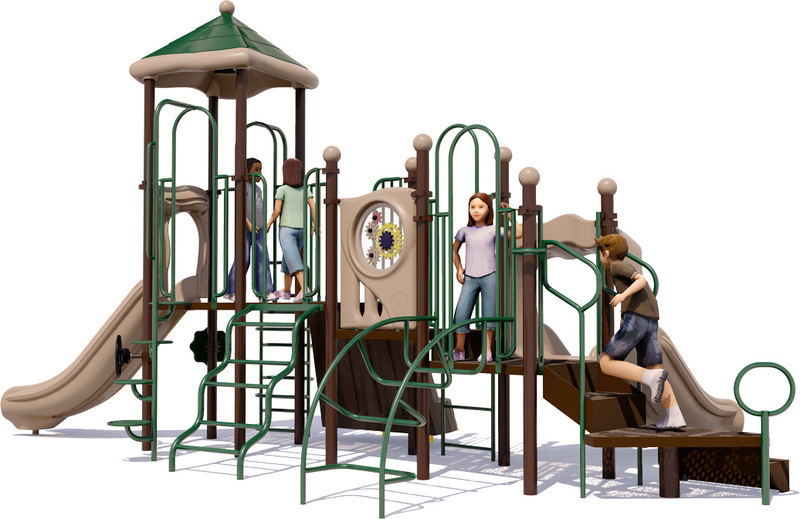 1 Single Slide, 1 Double Slide, 5 Climbers, And More!